Tonight's red post collection includes a look at Meddler's quick gameplay thoughts for September 29th, a thread from Reav3 about the removal of Evelynn's hybrid elements, a new Summoner Showcase, and more! For a little while (approximately the rest of the year) we'll be putting less time into gameplay updates like Xin Zhao's or Azirs and a lot more into getting pre-season ready and then balanced once it's out. We'll get back to gameplay updates at around the same speed sometime early next year, but expect to see fewer of those for a bit. VGUs (the large updates) by contrast will keep going at their usual speed, given the folks working on those aren't generally involved too much with pre-season. As some of you may have noticed the rune page website doesn't reflect some of the recent changes to runes that are on PBE. We will be updating that website, but not as frequently as the PBE itself changes. Should see an update to it next week, and more regular ones following that, there'll be times where it's a bit out of date though and we're more focused on getting stuff into game and tested quick. Generally we'll be balancing champions and the game in general for the new Runes system much more than the old one. 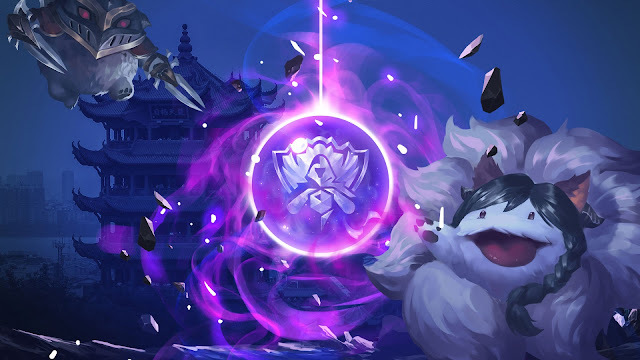 We'll hit anything that's massively out of line in the new system still, but we're focusing work on how things will be for the long term, rather than the 2-4 weeks any changes in those patch will have on Live before old runes/masteries are replaced and balance around them's no longer relevant. Evelynn's one of the champs most likely to be affected by that (might be temporarily stronger or weaker than she will be long term)." Yeah, there's some risk of that. We'd like Kleptomancy to be one of multiple options for supports, not a mandatory choice. Approach we'd probably take if needs be would be to reduce the raw gold income and put power instead into looted items in ways that aren't as mandatory for supports (e.g. more temporary combat elixirs or something similar)." Just those likely for Graves for now. Likely still removing Ohmwrecker at some point, just got bigger priorities right now than finding somewhere else to put the name before we do so. " This is not an issue, but why choose to rename old masteries that have been transferred into the new system? "Grasp of the Undying" kept its name (due to the album name probably), but why not Thunderlord's, or Warlord's, or Stormraider's, etc? A lot of the older names were pretty cool and "Electrocute" in contrast sounds underwhelming. On top of that, they (the old names) make the new system a little more approachable and bring more clarity. We generally changed names where something about how you used the rune fundamentally changed. Name changes have been shown in the past to help players identify the need to reread tooltips and change behavior (e.g. can't proc Thunderlord's with one spell anymore on many champs or can't burst for Stormraiders). Grasp kept its old name because even if you never read the new tooltip and assume it works like the old exactly you won't make any major mistakes. Warlord's Bloodlust got renamed because we're looking to open it up to AP builders as well and want to get people to reassess it too. That one was a borderline case though, given for many users it is exactly the same." Since Hybrid Evelynn seems to be the topic I see the most frequently I will give the context behind that first. Hybrid builds tend to work pretty well on fighter/bruiser type champions but can be very problematic on Assassins, which is one of the reasons we can't balance Live Evelynn as an Assassin and also why Akali tends to be more of a top lane sustained fighter than a balanced Assassin. The first problem being that the burst gunblade gives will lead to us having to nerf Evelynn's base kit until it is healthy with gunblade and then she will basically be heavily pushed towards building a gunblade first every game (like Akali.) Even if we take gunblade out of the equation the type of pattern hybrid builds lead to (stick to a target and chase them down) would likely lead us to nerfing Evelynn's burst damage at which point she would have a much harder time functioning as an Assassin. Her current kit would be much weaker as a diver/bruiser so that would leave her in a bad state that we don't think would really be great for Eve or Eve players in the long term. While I know it feels like we don't care about Eve mains, we do care, its just that we also care about Evelynns future. We feel it will be worse if she ends up unhealthy for the game and then we have to nerf her over and over until she can't function as a Assassin anymore which is something we feel has a high chance of happening if she remained hybrid. We don't feel like that would be great for current or new eve mains in the future. Anyways, hope that context at least helps, I'll be around to answer more questions over the next couple hours. After that I will still pop in and answer what I can later this afternoon and also over the weekend though it may be harder to answer the micro-design feedback without being in the office to talk to the designers." Make sure to check out the full thread for detailed questions and answers from the users of /R/EvelynnMains! Tahm was not mystery for mystery's sake-- he hints at the larger truths for runeterra." "Summoner Showcase is on YouTube and Facebook now! You asked for it, you got it. This week on the Summoner Showcase we’ve got a Star Guardian Taliyah that’s as gorgeous and brilliant as the desert sun, a Noxus Poppy cosplay with flare to spare, a ridiculous acrylic PENTA-PAINTING and much more. Riot Swimbananas– Riot Recruiter by day, Summoner Showcase host by night! What you're seeing is a different region's version of Evelynn. 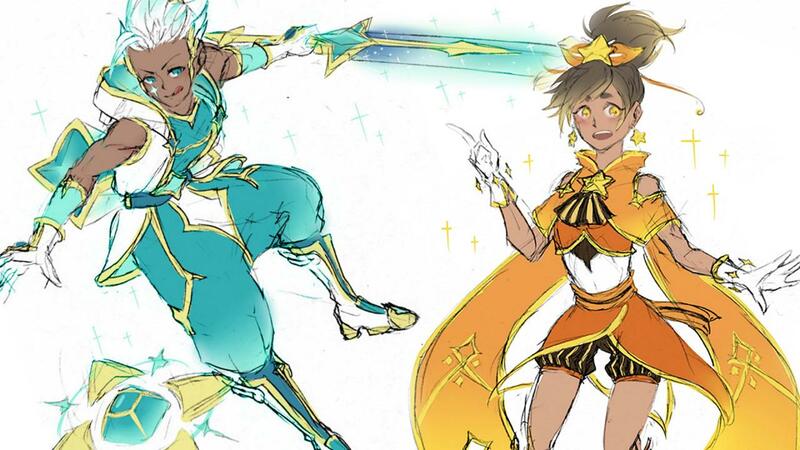 At times, we will make multiple versions who may be sensitive to the type of content found in splash arts. Not to make any assumptions, but if the majority of you are from NA and EU, you will not be seeing any changes to Evelynn's appearance." With the Play-In Stage completed, the Worlds groups have been locked and the start of the group stages are right around the corner! Its the perfect time to lock in your Worlds Pick'ems! The Groups Pick'ems are now live! Check out the site for a look at this years prizes and more! Unlock the unique 2017 Pick’em Poro icons by participating and by scoring at least 34 points. Get everything right and you will unlock all four Ultimate skins!" 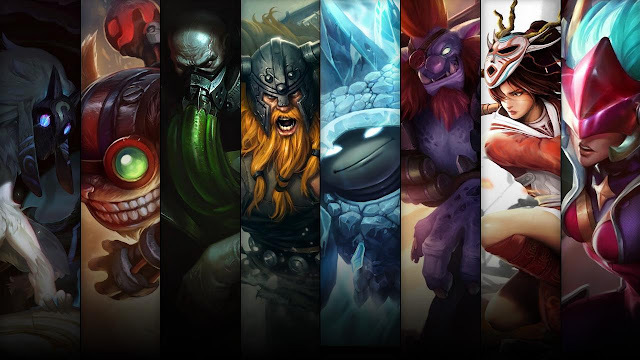 The Champion and Skin Sale for 10/3 - 10/6 was released early! The NA LCS is making big changes to the game format starting in the 2018 season! Check out the article for full details. "TL;DR: NA LCS is switching back to a double Bo1 regular season starting in 2018. Every split, we evaluate if the NA LCS format and schedule are creating competitive and entertaining matches. After three splits of Best of 3s (Bo3) in the regular season, we’ve weighed a lot of info including months of surveying fans, conducting focus groups, auditing viewership for both streams, and reviewing feedback from fans, teams, and pros. As a result, we’ve decided to move the NA LCS back to a double Bo1 regular season starting with the 2018 Season." "Explorations so far haven't been fruitful, so we have nothing pending. We still recognize the value of good Yasuo work, though." With Worlds 2017 in full swing, Summoner's Rift is celebrating with new emotes, map accents, and much more as Worlds hits the Rift! Championship Ashe and her Golden Championship chroma, ward, and much more are now available! Check out the post for all the details!